+ Then you fill out an application, detailing when each peak was climbed, and pay membership dues. The org used to require journal entries for each mountain submitted, but in recent years there have been so many applicants, they couldn't keep up with the volume. The 46er sticker is a calling card of sorts, telling others who are in the know they're in the club. Anything with the official 46er logo can only be purchased by people who have completed all 46 peaks. So when you see that sticker -- or patch, or mug or t-shirt -- you can be sure the owner earned it. Of course, that all comes after the mountains. Let's jump back to the beginning: Hiking the High Peaks takes some preparation, gear, and know-how. But with determination, grit, and lots of time in the mountains, you'll be well on your way to joining the club. No clue where to start? I asked five 46ers what their advice is for newbies. Here's what they had to say. On the peak of Cascade. Why hike the High Peaks? Kathleen Stutzman, a 46er originally from Albany but now living in Vermont: "Not all the hikes are fun or have spectacular views, but they will take you to places you'd never go otherwise. And there is a sense of camaraderie in knowing many have toiled there before you and will after. In hiking, we often think that the payout for our sweat is the view from the summit of a peak or the accomplishment of making it there and back again. Hiking trail-less peaks in the middle of nowhere with no view is meaningful not because you cross another peak off your list, but because you come to appreciate the journey." 46er Dave Goetzmann: "The camaraderie of the 46 group is amazing -- I love being a part of it. Everyone should do it for experiencing all parts of the Adirondack high peak region, just awesome perspectives of everything. I get a great sense of accomplishment after continuing to hike the high peaks with people, and coaching/mentoring others on their quest." Glenna Roach, an almost 46-er (she's at 38): "It's a wonderful feeling of accomplishment to climb such rugged and demanding mountains and to be a part of a long lineage of explorers of one of the most beautiful parks in the country." Jona Favreau, a 46er from Troy: "Personally, I just can't leave a list un-checked! Which I think is why I completed my first round so quickly (15 months). I initially started on my journey to becoming a 46er after a minor heart surgery and just really wanted to move. But after repeated trips north, I couldn't get enough of those mountains; I fell in love with not only how strong and accomplished I felt at the end of the day, but everything about being in the woods." Emily Pritchard, a recent 46er who just finished with her mother and boyfriend, and who is currently hiking the Appalachian Trail (What else are you going to do once you finish the High Peaks? ): "For us, it was an awesome way to see more of our home and to spend time together. Plus, we made memories that we'll remember the rest of our lives." 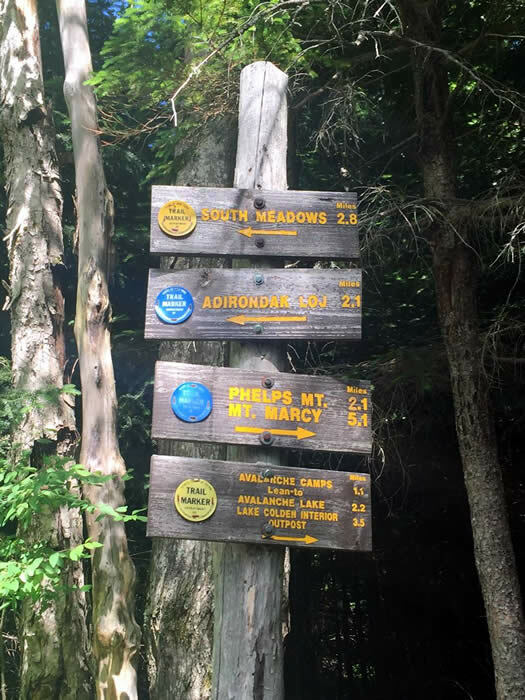 "Get the '10 essentials' gear, try on all the boots at LL Bean, read up on the peaks," says Glenna, "I didn't crack open the High Peaks Trail Guidebook until I was about halfway through and realized that there is a wealth of detail on specific trails in there! Like mile by mile on the marked trails." Kathleen suggests getting "a great pair of boots, good hiking clothes (which can found just as easily at a Goodwill as a Patagonia store), a water filter, a headlamp, and a good map that you know how to read." And for newbies, "If you are just getting started hiking, it is very important to have a buddy." Jona adds: "Be prepared for anything! Take the time to pack your gear and learn how to use a compass with your maps. The weather changes fast in the mountains and yes, it can snow in June." Emily reiterated the importance of a good map: "And of course -- get a map. Being aware of where you are in relevance to other mountains and trails makes you much more aware of your surroundings. We love our NatGeo one, plus, it's waterproof!" Many of the 46ers mentioned the Adirondack Mountain Club as a resource for beginners. "I actually signed up for hikes through the ADK. That way you are out with an experienced group and can learn and meet other people who share your passion and that you might want to hike with again," said Kathleen. Jona also mentioned "The ADK AMC offers great courses for all experience levels and there are discounts for members -- which you should all be. Discounted parking at the Loj [trailhead], hello!" Emily added: "One thing I wish I had done when I was starting out is to look into the ADK Mountain Club chapter outings. There are group hikes all throughout the week, all throughout the year on all sorts of mountains, not just high peaks. These outings are a great way to not only start hiking when you may not know where to go/what to do, but they are also an opportunity to meet other people who may be looking for someone to hike with too." Emily also suggested reading trip reports online. "Something I did when I was starting out was read different blogs and trip reports online. There are a couple of really good ones that have not only trail information, but pictures as well. You just have to be mindful of changes to trails and the difference in trip times, as things can obviously vary between hikes." Jona brought up a great point about trail etiquette: "If you carry it in, carry it out! This means banana peels, apple cores and toilet paper. I sound like a mom right now, but someone has to volunteer to clean up after others, and with the increased foot traffic, this has become a serious problem. Please help keep the mountains clean." Dave advises to start small: "I would start with a few of the smaller surrounding mountains to get a feel for conditioning one needs for the larger, and longer mountain trails." Above all, don't forget to enjoy the journey. Jona said, "No matter how many photographs I take, it just doesn't capture how I feel when on the trail. You've just got to be there and put in the work yourself, hiking each of the 46 will show you something new." "In the High Peaks," said Kathleen, "it's wild land as far as the eye can see. And that is spectacular and so necessary. It is necessary for ecosystem services and wildlife habitat, but I think it is also necessary for the good of the human soul." Are you ready to get out there and start climbing yet? In Part II we tackle the fun part -- the mountains! This is all great, but I only see one mention of ethics or etiquette (thanks Jona!). One of the most important parts of planning and preparation is learning, understanding and observing the rules and regulations of the area you will be visiting (in this case, ADK has a good introduction/summary http://www.adk.org/page.php?pname=dec-regulations). These regulations are in place for safety, protection of the resource, and general etiquette. Failure to follow these rules could result in degradation of the resource and restrictions to access in the future. It would be even better to adhere as strictly as possible to Leave No Trace principles and practices (https://lnt.org/learn/7-principles). The high peaks area is the most heavily used area of the Adirondack Park. With that use comes a lot of impact. It is the responsibility of each visitor to minimize their individual impact. If you have little or no hiking experience definitely start on shorter hikes, possibly outside of the high peaks area. Decide you actually hiking before you make the decision to commit to doing 46 peaks. The high peaks are not going anywhere. They'll still be there for you next year. There are plenty of local hikes you can start out on. Even after you start, I don't recommend committing to all of them right away. Just see how many you can do in a couple years. Then if you're loving it, make the decision. No need to feel like a failure for "quitting" after a few-- hopefully you'll have a good experience either way. Along the lines of trail etiquette, on the trails to some of the more popular "easy" "starter" peaks, like Cascade, you can see how much damage has been done by people walking off the trail. Walk THROUGH the mud, not around it or on rocks if they're there. If you don't want your shoes to get dirty, turn around and walk back to your car. I wouldnâ€™t suggest getting hiking clothes at the Goodwill. Sure you can probably get some t-shirts and shorts but the good quality, name brand items will be difficult to come by. Especially hiking boots and appropriate socks. Iâ€™ve found a lot of nice Prana, Patagonia OR and Northface items on eBay. A quick check just revealed a good selection of hiking boots too. Names like Vasque, Asolo and Solomon are excellent brands. Though Keen, Merrell and even Montrail make quality boots too. Then thereâ€™s winter gear, which can literally save your life. Remember to never ever wear cotton anything when hiking in the winter. Will you die? Probably not, but if you get wet and the temperature drops, you could actually leave this life a bit earlier than expected. You also want to stay away from cotton socks at all times. Stick with Smartwool. They offer socks for all seasons. If money is no option but youâ€™re a saavy shopper, lâ€™d recommend taking a trip up to the Kittery Trading post in Maine. They carry everything you will need plus Maine has some nice trails to get you warmed up before you head out on your first 46er. Remember squats are your friend, nothing helps you motor up a mountain faster than a good strong booty. Ed-- Totally agree with you! There's more discussion of staying on the trail and leave no trace in Part II, which is coming out next week. 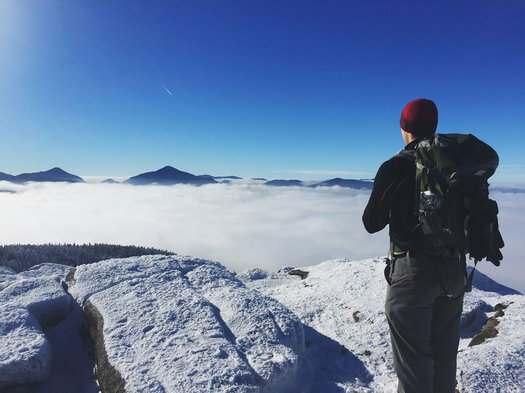 Adding to what Solon said - start with smaller hikes - the Lake George area is a great place to get used to hiking longer distances before making the time commitment (both in hiking and travel) of a High Peak trip. I hiked Sleeping Beauty, Black, Buck, Cat, Prospect, Hadley and the Tongue range multiple times before finally venturing to the High Peaks. Each trip will teach you something new - "Ah, maybe I should upgrade my pack before I start my 46... I should change up the kind of food I bring. I didn't think I needed to bring X Y and Z, but I do!" It's better to know this before you start a longer, more remote hike. Also, don't go overboard and spend a thousand dollars on gear just to begin hiking. If you stick with it, you will most likely build up a collection of gear, but start small. This being said, I would never ever ever buy boots at Goodwill. Any other piece of clothing - fine. But people aren't handing over nice, new hiking boots to Goodwill... you'll end up with something pre-wornout which will destroy your feet and leave you hating the idea of hiking. Decent boots are the *only* thing I would recommend spending some $$ on before starting. As @Ed said "The high peaks area is the most heavily used area of the Adirondack Park" - which is why I decided long ago NOT to become a 46er. I got stuck in traffic coming down the Northway too many times and decided to explore the ADK's via Route 30 instead. The peaks aren't as high, but the hikes can be just as rewarding. In fact, two years ago on 4th of July weekend, outside of crazy busy Old Forge we backpacked to a lean-to on a lake and had the entire place to ourselves. Road less traveled baby. A great article! I'm not a seasoned enough hiker to attempt the 46 yet, but I am currently chipping away at the Fire Tower Challenge. Hiking Black Mountain tomorrow! Thanks (and thanks to commenters) for pointing out etiquette and regulations. NYS DEC has a good page with basic safety and regulatory info and links to more, and the Leave No Trace Center is a good resource too. As has been pointed out, the high peaks, especially the eastern zone, suffers from a lot of overuse. Those really concerned about impact may want to consider visiting other areas, though that might make it busier in some of my favorite spots... there are other places in the ADKs and Catskills with just as much challenge and reward as any high peak, and so much to see and do other than summits. Personally, I cringe a little whenever I see a 46er sticker on the back of the car. For me, hiking is not about completing a checklist. It is about getting into the woods and as far from people and civilization as possible. There are dozens of hikes outside the High Peaks that offer fantastic views with sparse crowds. And sure, you might not be able to tell everyone you are a 46er, but you may experience a peace that only comes with solitude. FWIW JB, there are at least a dozen of those 46 high peak hikes that will give you that same solitude - not every hike is Cascade or Giant. Plus, one can value being alone in the woods and also be proud of the achievement of completing a goal... but, to each their own. Is there a website to find local hiking buddies? I have tried meetup.org but most of the hikes are on the weekend (which I can't do because of my work schedule). Thanks! I'm also thinking about organizing some sort of meet-up hike deal in September-- send me an email at upstateclub(at)gmail.com if you're interested! 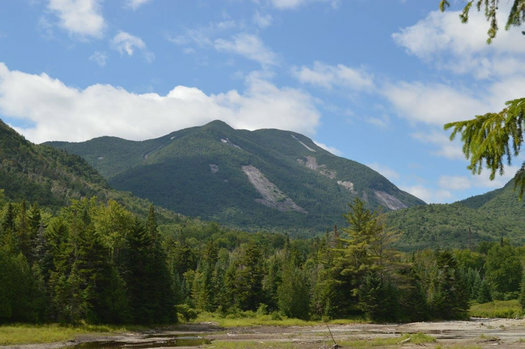 More followwup on the use issue (which AOA and commenters have addressed pretty well, here and elsewhere): Adirondack Wild has called for DEC to address High Peaks use issues. Seems like this is really getting a lot of traction this year.